Omar is facing blowback from Democrats and Republicans after retweeting The Intercept reporter Glenn Greenwald’s criticism of House Minority Leader Kevin McCarthy (R-CA), who promised “action” against the Minnesota Democrat and Rep. Rashida Tlaib (D-MI) for their critical stance on Israel. McCarthy, in an interview with Breitbart News Saturday, accused Democrats of double standards for refusing to punish Omar and other lawmakers for anti-Semitism, while pushing for the censuring of Rep. Steve King (R-IA) for his remarks about white supremacy. “Nancy Pelosi has not said a word,” the California Republican said. “So that means she’s supportive of these actions” by Omar. 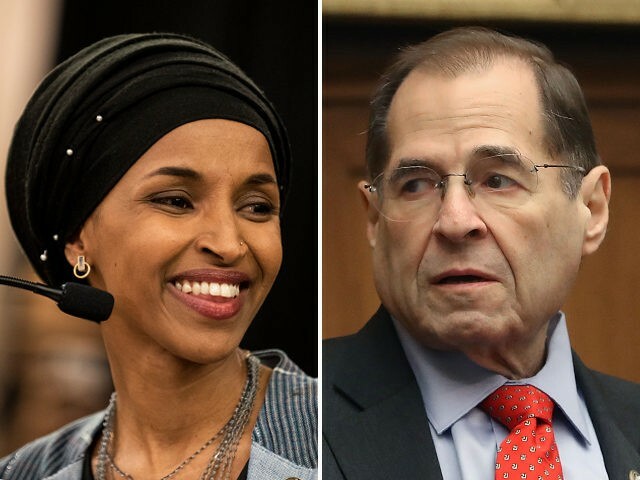 “It’s all about the Benjamins baby,” Omar tweeted in response to Greenwald, suggesting lawmakers receive financial contributions in exchange for supporting the Middle East’s only democracy. As Breitbart News’ Joel Pollak wrote Sunday evening, AIPAC is not a political action committee (PAC), nor does it endorse or give money to candidates. “Please learn how to talk about Jews in a non-anti-Semitic way. Sincerely, American Jews,” Ungar-Sargon replied to Omar’s anti-Semitic trope.